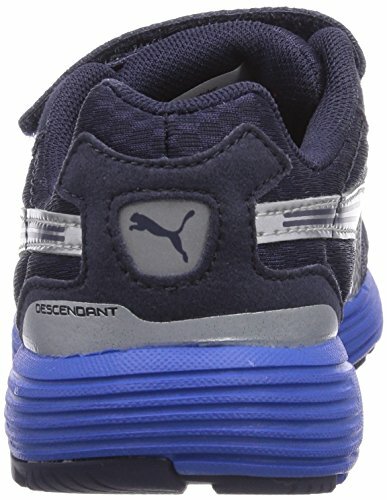 Puma Descendant Puma Descendant V Kids Running Trainers / Shoes - Kids Running Trainers / Shoes - The Puma Descendant Kids Running Shoes offers a great look that really competes with the big hitters out there! The simplistic upper provides clean lines and a more conventional look that is sure to catch some eyes. Finished with Puma branding and reflective detailing to produce a great look and increase visibility.Puma branding. Hook and loop fastening. Padded collar and tongue. 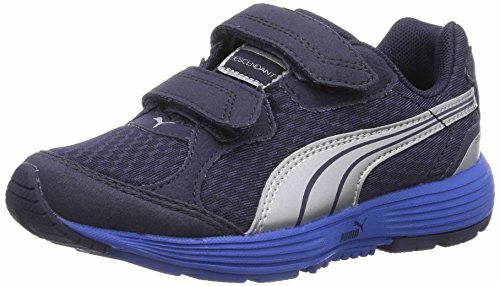 Thick cushioning sole. Efficient grip patterning. Heel support. Reinforced toe cap. Flex grooves. Reflective detailing.